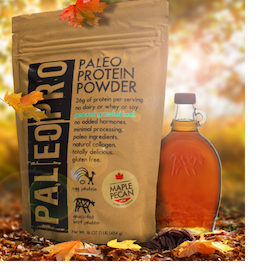 PaleoPro, a company that is dedicated to creating clean, convenient, and easy- to-digest paleo products, launches Maple Pecan Paleo Protein, their newest seasonal flavor. (Vista, CA ) – PaleoPro, a company that is dedicated to creating clean, convenient, and easy- to-digest paleo products, launches Maple Pecan Paleo Protein, their newest seasonal flavor. Maple Pecan packs 26 grams of pure grass-fed and pasture raised paleo protein per serving and satiates fall cravings with a deliciously sweet and buttery flavor achieved using only non-GMO natural flavors and calorie free monk fruit extract. Maple Pecan Paleo Pro Protein joins a lineup of other delicious flavors of paleo protein powders, a vegan greens powder, a Sweet Potato Recovery Powder and a collection of delicious 100% grass- fed and pasture raised Bone Broth Collagen Protein with Turmeric. 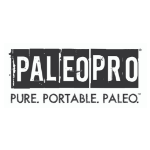 PaleoPro products can be found online at www.paleopro.com , on amazon.com, or at Whole Foods Market, Sprouts and other fine retailers nationwide.